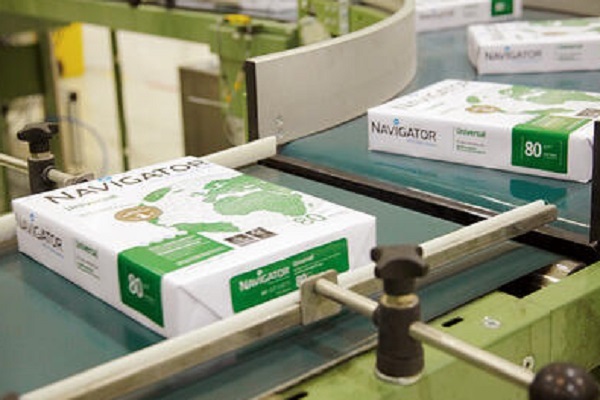 The Navigator Company, an integrated producer of forests, pulp and paper, tissue and energy, will be showcasing its premium brand of office paper, at the upcoming Paperworld Middle East expo in Dubai. To be held from March 18 to 20, the 9th edition of the event is likely to host more than 300 companies from over 40 countries. This is the 7th consecutive year that The Navigator Company, an European leader in the uncoated printing and writing paper sector, will be attending this international exhibition of stationery, office supplies, school supplies and printing materials. During the event, the company will be showcasing its leading paper brand, Navigator UHD, that translates in a special surface treatment allowing an even better printing quality, with an improved machine performance. Printed samples will be available to visitors, so that they can see for themselves the qualitative leap that can be obtained when using new Navigator UHD. In recent years, The Navigator Company has shown a clear growth capacity in the Middle East, which has helped to consolidate its position as the third largest Portuguese exporter and the company that generates the greatest added value for the Portuguese economy. It has made its presence noticed in the Middle East and East Africa, which are important regions in its commercial strategy, especially in the higher value-added and brand segments, providing around 30 per cent of European exports in uncoated printing and writing paper for the region. In addition to the launch of the new Navigator UHD paper, another innovation that will present is the new image, concept and positioning of its Discovery and Inacopia brands. Under the concept of “Discover your unstoppable nature” and focused on eco-efficiency, Discovery paper is one step ahead due to its better management of resources, consuming fewer resources per ton of paper, and guaranteeing the best quality and excellent machine performance, without misfeeds. With the concept of “Imprinting Life for a Colourful World”, the Inacopia brand offers its greatest attribute, a premium quality paper for colour printing applications. The Navigator Company will present the two Inacopia product ranges at this event - Elite and Office - which are positioned differently: the first is totally focused on high quality colour applications, while the second is for office applications, where multifunctionality and trouble-free printing are key factors. António Quirino Soares, Marketing Director at The Navigator Company, states that over these six years of Paperworld Middle East in which the Company has taken part, “our aim has been to boost the presence of our paper brands in these markets. "This has led to growing demand and interest in our products and brands in high potential emerging markets such as the Middle East, Africa and Asia, while at the same time we are launching company innovations, as is the case of the Navigator UHD," he noted.